When I sit back and think of all that I have done this year, I really have moved myself out of my comfort zone and tried a lot of new things! This weekend, I’ve added another thing to that list. I’ve put some of my work into a market. 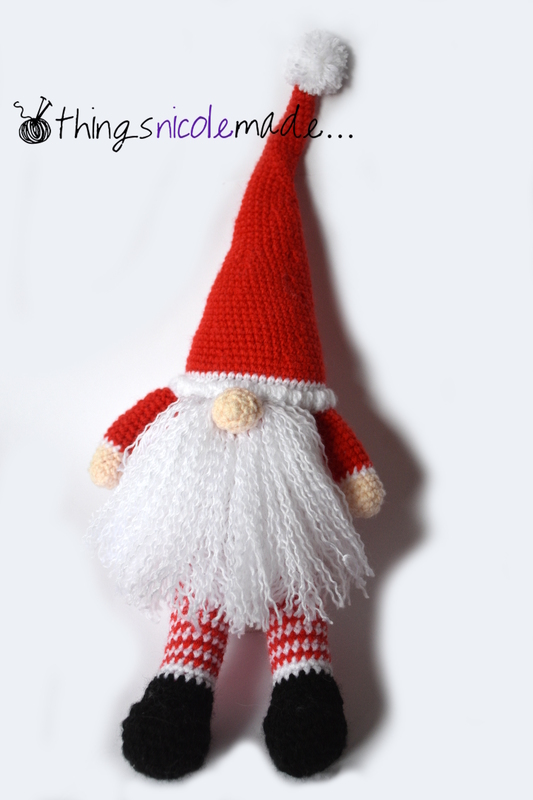 I attend a couple of crochet/knitting groups, which I really enjoy. One of them has an annual Christmas market at the same venue and our group was offered a stall at this year’s market. I missed a number of weeks in the middle of the year with our trip to Melbourne and illness, so I didn’t really understand what was going on and had decided to just give it a miss this year and see how things go next year. However, a couple of weeks ago, our leader asked if I was going to put something in and I thought “why not have a go and see what I can get made up in a week and ready to sell?”. I remembered that I had a few face washers, dishcloths etc that I had made and stashed away for a rainy day, so I have a nice little group of different things to put into the market. I took it into the group this week (as I was working, I wasn’t actually able to attend the market myself and they have been kind enough to sell it without my presence!) and had some assistance with pricing – not having put anything in a market before I really have little idea of what will sell, what price points work etc. I’m looking forward to finding out how I did and if any of my items sold or not. 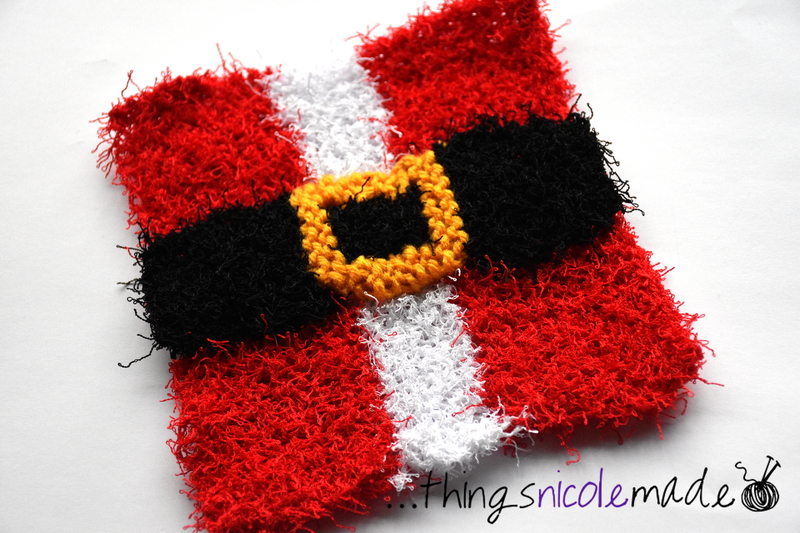 I ended up putting in some dishcloths, coasters, face washers, make up removal pads, dish scrubbies, a lovey doll and my bunting that I made earlier in the year. I think it’s quite an ecclectic mix and it will be interesting to see what sort of items sold. 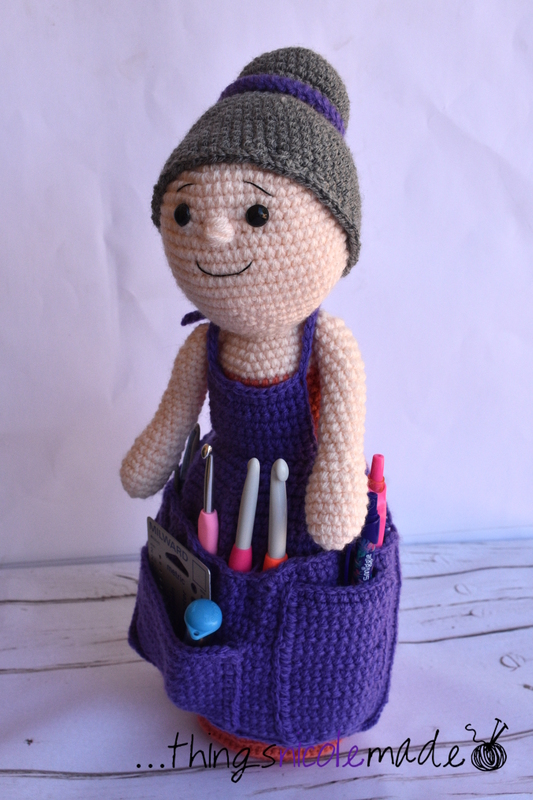 I’m also keen to compare what the other ladies put in and their success with those items (we all crochet very different things!). I love how all of our different experiences in life teach us different things and help to shape what we do in the future! Last week, my family made the long trip from Adelaide to Melbourne. When we first discussed going, I assumed we would fly over, however, my husband assumed we would drive. I had reservations – 2 young kids in the car for 8 hours is a tough gig. 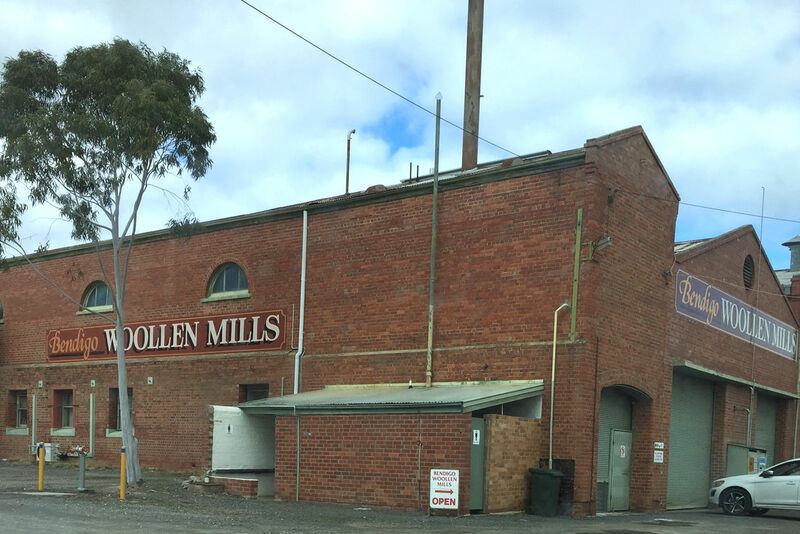 Then, I remembered that I had been wanting to visit the Bendigo Woollen Mills and driving over would give us the freedom to do that! 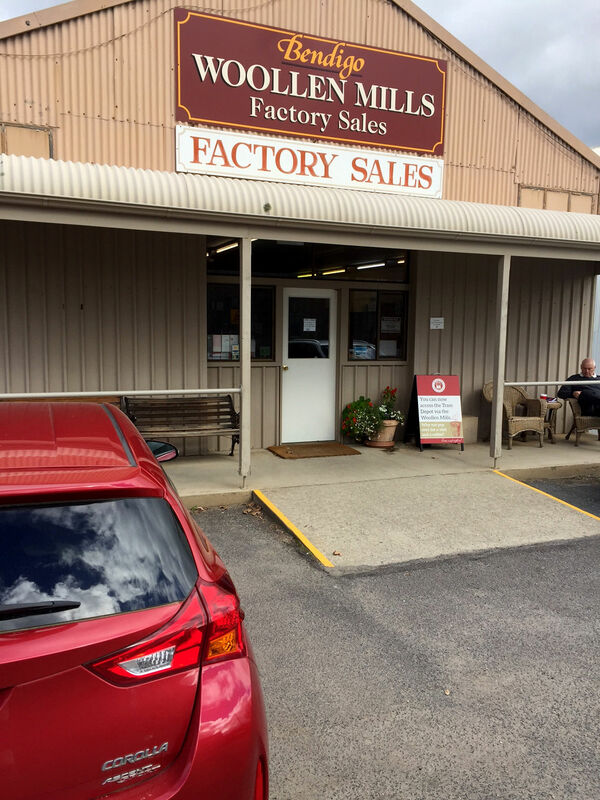 So, I agreed to drive on the condition that we would visit Bendigo on the way home. 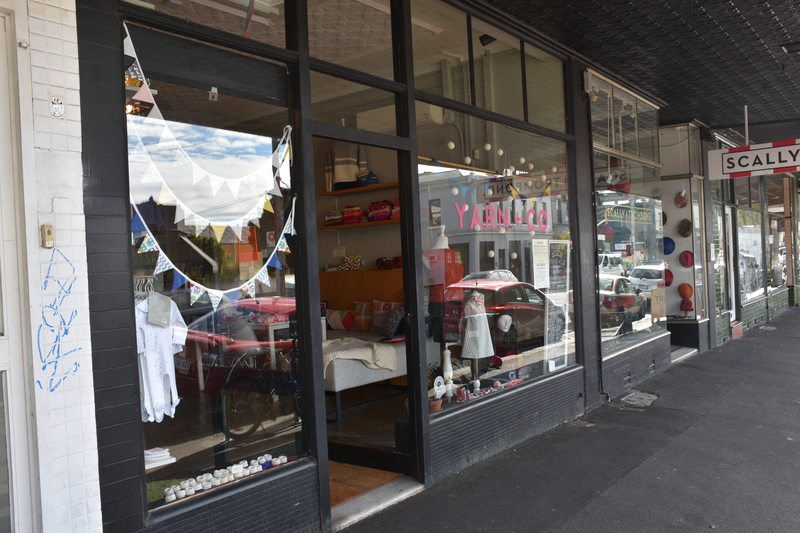 A couple of ladies in my Crochet group told me about a few other yarns stores in Melbourne that I could check out, so I had my itinerary ready and off we went! It was indeed a long way over, but the kids were magnificent – I think I was more impatient than they were! Our first morning there, I walked past the building where Morris & Sons is housed. Sadly, it hadn’t opened yet for the day (yay for excited kids sleeping in unfamiliar places and waking up early! ), so it was a bit of a tease. 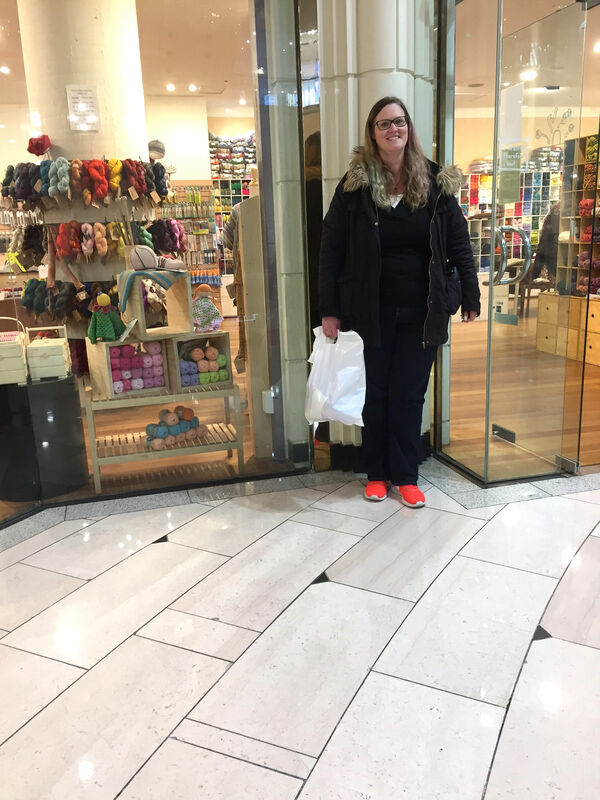 I was able to get there the next day with my oldest daughter (who kindly took a daggy photo of me out the front of the shop!). If I’m going to review it, it wasn’t well signed inside the mall – the wool through the windows was what gave it away. But what a treasure trove inside. 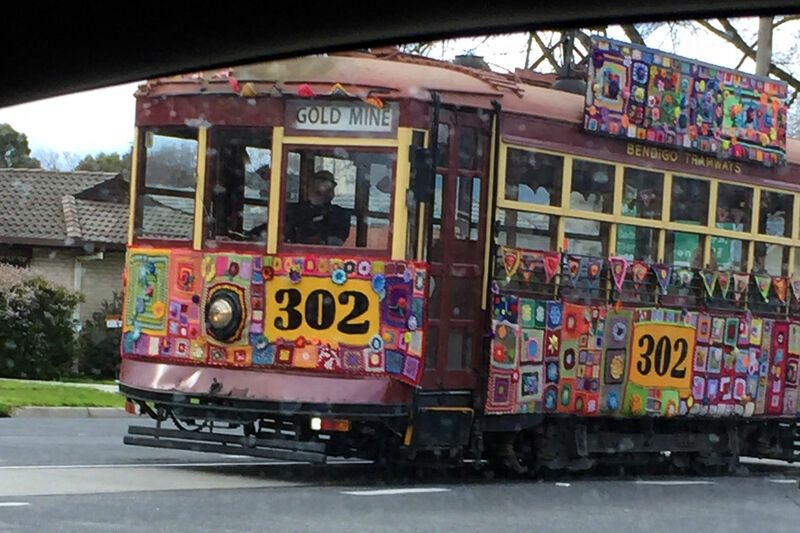 So….much…yarn. So many different brands, colours and types. It was exciting to see yarns I have only read about in person. I had a budget to stick to for all of my yarn shopping, so I took a portion of it and chose lots of rainbow yarns in this store! My aim with this trip was to try different fibres and yarns that I have not been able to easily access here in Adelaide. 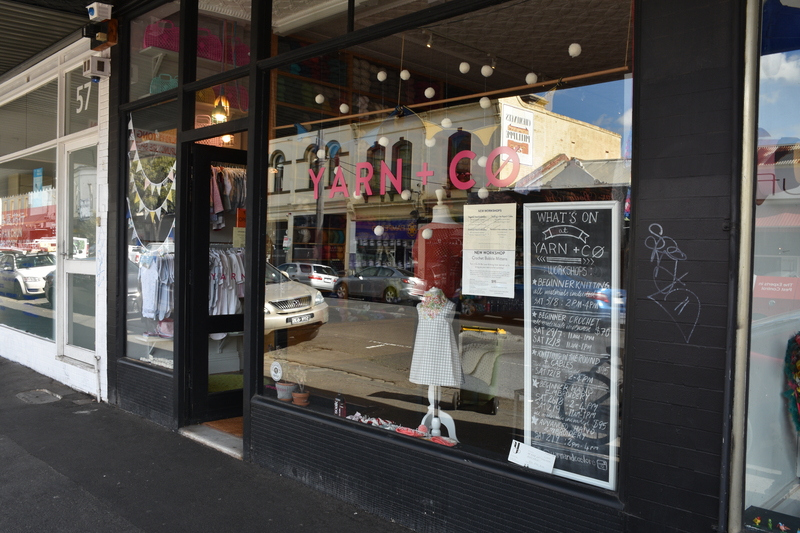 From this store, I bought a skein of yarn that I loved the colours of and may turn into a pair of socks at some point (depending on if it will make big enough socks for my giant feet!). 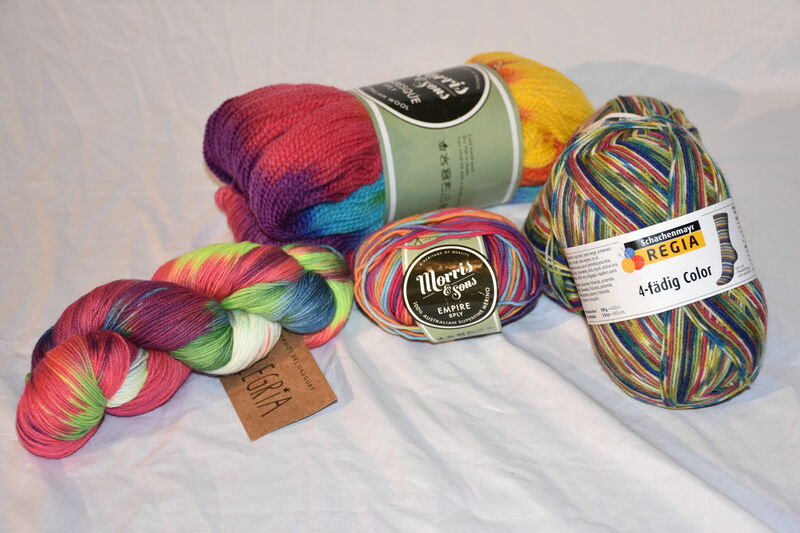 I bought a couple of balls of Morris & Sons brand yarn to try (including that gorgous big hank of rainbow yarn!) and some sock yarn (definitely enough to make a pair of socks for my giant feet!). 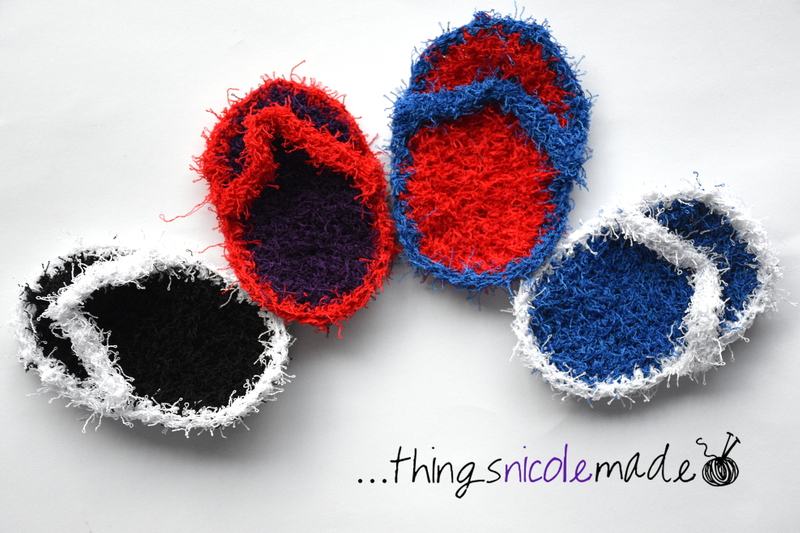 Sock making is something I haven’t really tried before and I am keen to give it a go! My next stop was Yarn + Co. The children and I walked there. It was a bit of a hike and turned a bit nasty in the end with tired, grumpy kids that refused to walk any further, but was worth it to see some more new yarns! I love how this store is set out. If you look closely at this picture, you can see a sofa covered in crochet and knit cushions and there was completed projects all over the place. I loved the welcoming feeling of it (and the couch was great to plonk my children on and know they would stay). 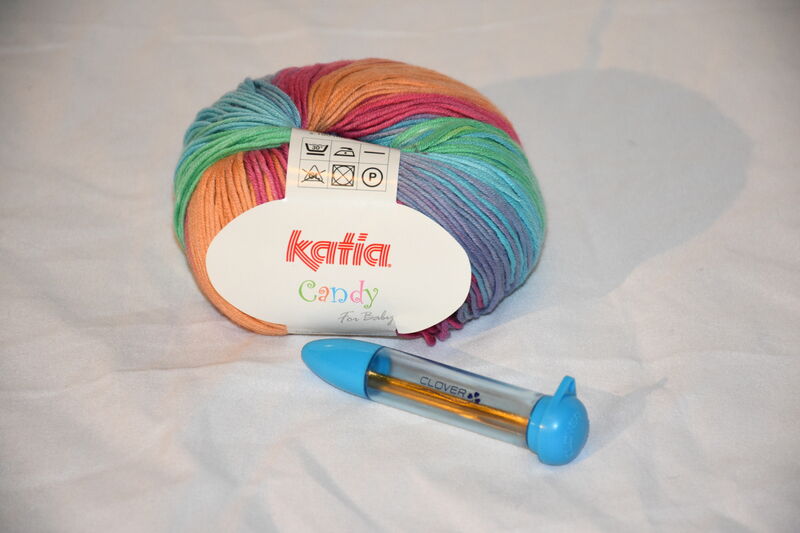 It was a smaller store, with not as many different yarns as the previous store I had visited but I was able to buy some clover bent tip yarn needles that I had been wanting to try and some Katia yarn purely because it was different and I haven’t tried it before. So far, my yarn trip was a resounding success. I had been careful enough with my budget that I still had some money to spend at Bendigo, but I had been able to buy some new and different things! Seeing as how today is ANZAC day here in Australia, I thought that I would theme my blog post around that this week. 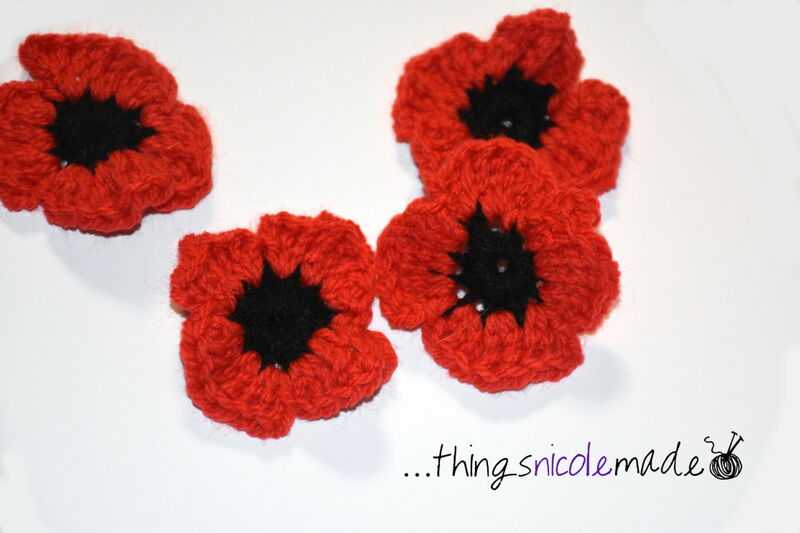 Last night, my eldest daughter and I sat down for a quick crochet lesson on making poppies. They are really sweet and so quick to make up. You may well ask why I feel ANZAC day is important. Well, to me, I think that we need to remember. Each year, the number of veterans is getting smaller and it becomes easier to forget why we need to remember. We need to remember because many, many people have given their lives so that we can live in a free country, and for that I am very grateful. But, more importantly, we need to remember because war is a horrible thing – we see pictures and hear stories of what it is like during war but living through it is a totally different thing and we need to make sure that it doesn’t happen again. Complacency is a very dangerous thing. So, on this day of remembrance, a heartfelt thank you goes out to all those who have served and are still serving in our militaries. Your sacrifice does not go unnoticed. I hope that you enjoyed celebrating Easter yesterday with your family and friends. We had a lovely day with a bunch of family at our house for lunch! My post is a little late this week as my husband and I have been using the opportunity of a 4 day weekend to install a pond in our yard. I thought that this would be a quick and easy job. I was wrong. It has taken many hours and lots of trips to the hardware store but we’re nearly there! Fingers crossed by the end of today it will be done. 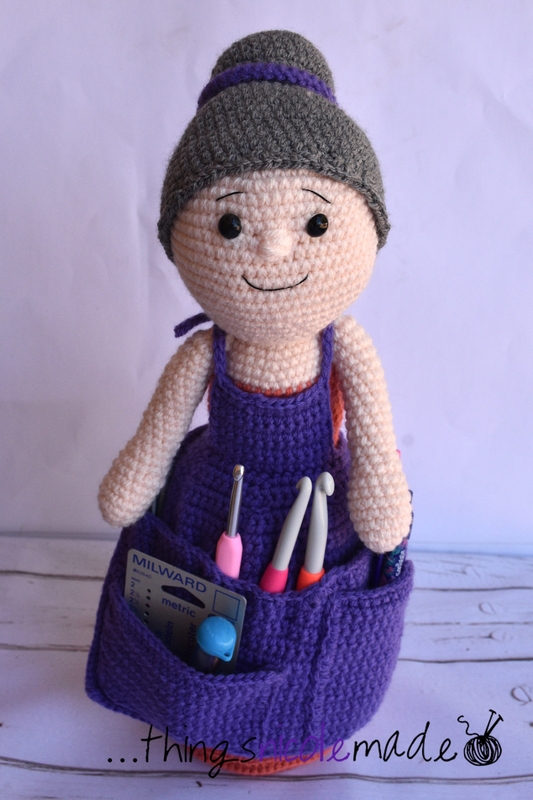 Sadly, today was going to be my crochet day but I’m so tired and sore from my efforts that even a crochet hook feels like it weighs a tonne! Anyway, I have managed amongst all of this to create an Eater present for my baby niece who can’t eat chocolate yet! 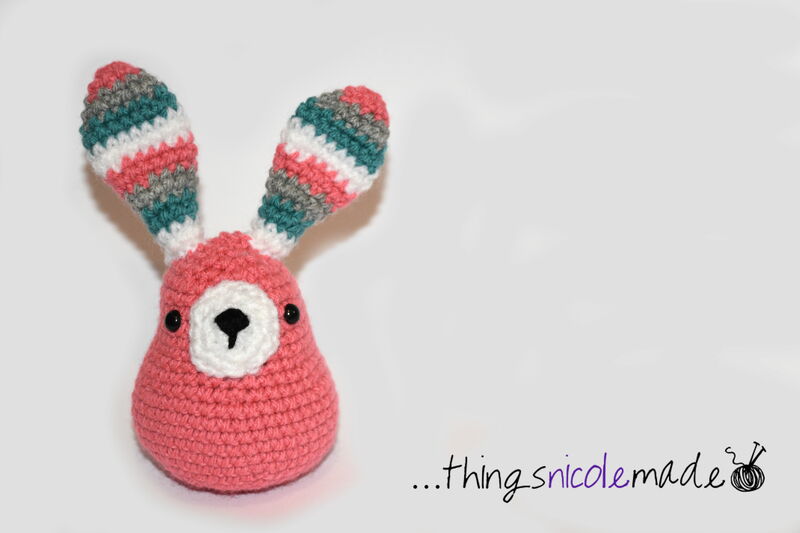 I saw this sweet little pattern for a rabbit and knew it would be the perfect thing for her https://stipenhaak.blogspot.com.au/2012/11/konijntje-pluis.html. The pattern is not in English, but even with a dodgy google translate, it was easy to follow and very quick to make up. I love it! It also forced me to go ahead with buying some poly pellets. 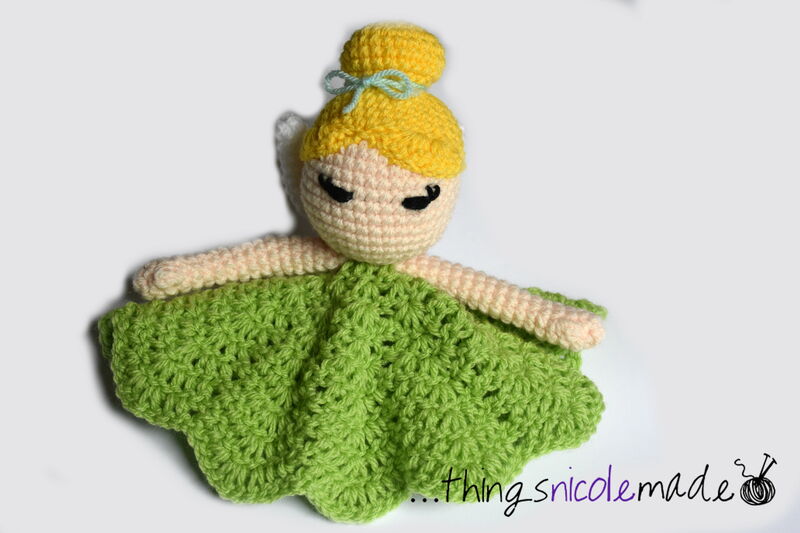 I have been considering it for awhile to use with my crochet creations but it has just seemed a bit too much trouble to do it! However, I quickly realised that if I just stuffed this rabbit, the weight of it’s ears would just pull it over. It really needed something to weight the bottom. I put the poly pellets in a stocking and doubled it over a couple of times before knotting the top to make sure that the pellets don’t escape and it works a treat. The little fellow stands up all by himself. He also has a bit of a rocking motion if she wants to poke him and watch him roll around! 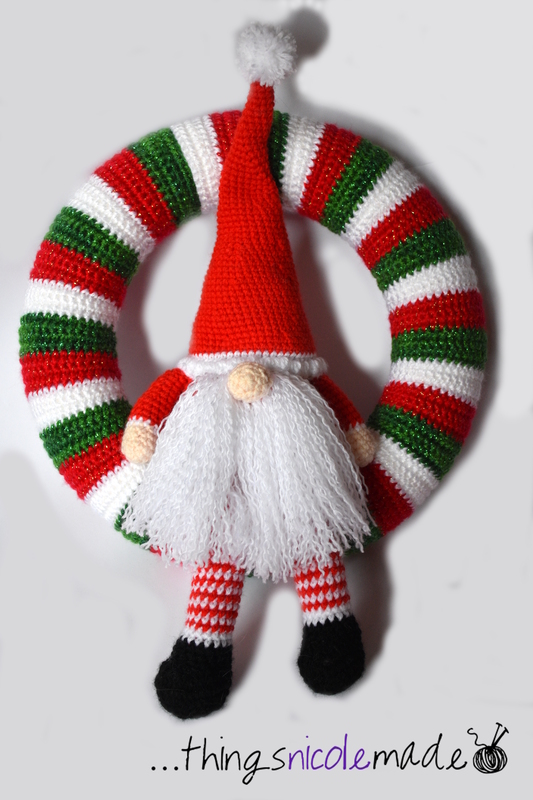 The present went down really well – an added bonus is that his ears are great for chewing on! Now, back to the pond….. 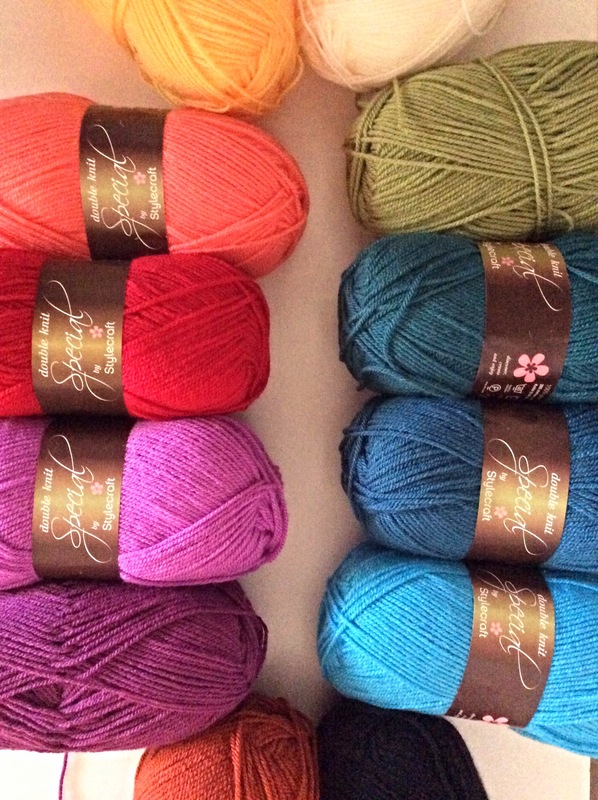 So, I have a little obsession…Stylecraft Special dk yarn. I discovered it a year or two ago and it’s become a small problem. The problem is, it’s really hard to get in Australia! I have to order it online from the UK and then wait for delivery. Just recently, it was on special with great shipping prices so I just had to order some…..didn’t I? I decided that I would order the yarn to make the Fridas’ Flowers CAL. It’s something I have been wanting to try my hand at, and it seemed like the time to try it. 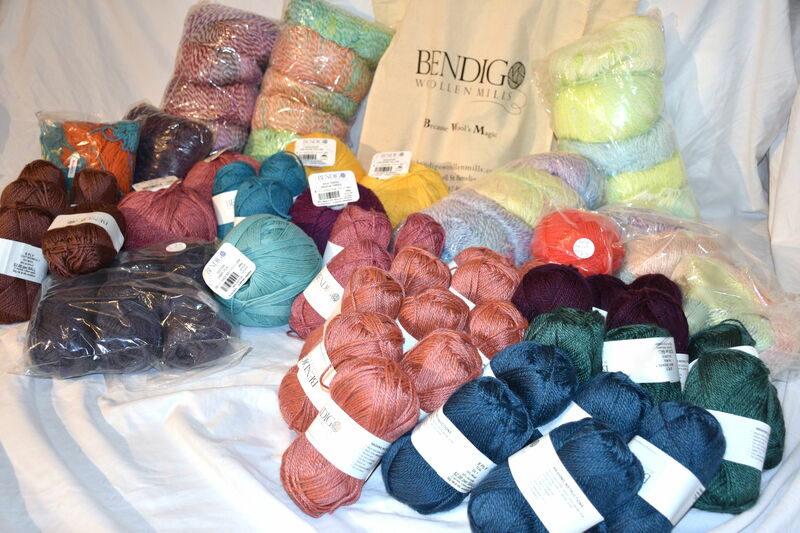 So, after the interminable 2 week wait, my yarn finally arrived! I could hardly wait to get my hands on this squishy goodness and begin this beautiful afghan! However, it hasn’t all been smooth sailing. I began with block 1 – white cosmos. It looks beautiful but my tension was way out. After changing hook size, it was much closer but still a little small. So, I investigated the instructions for tension and came across a really handy link about lifting, riding and yanking https://m.youtube.com/watch?v=eAvvsbdNxWU. 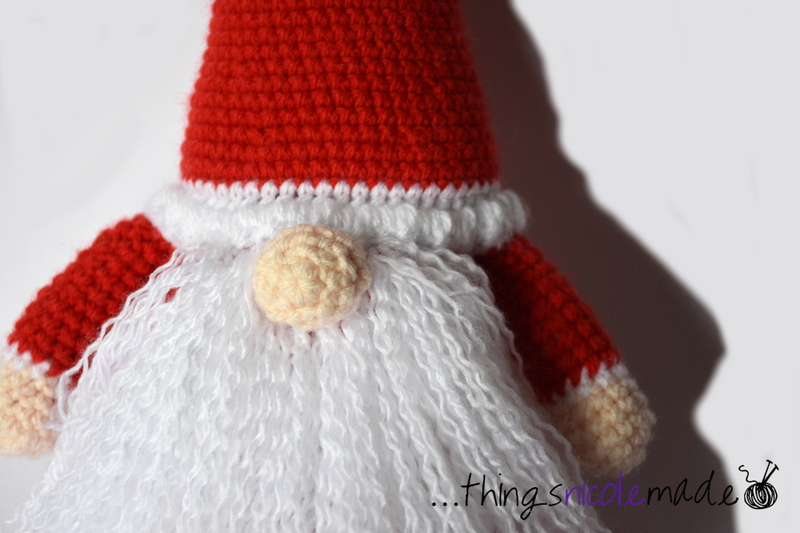 Although I believe I am a rider already and it hasn’t fixed my tension problems, it was really interesting to learn how different crochet actions can affect your tension. 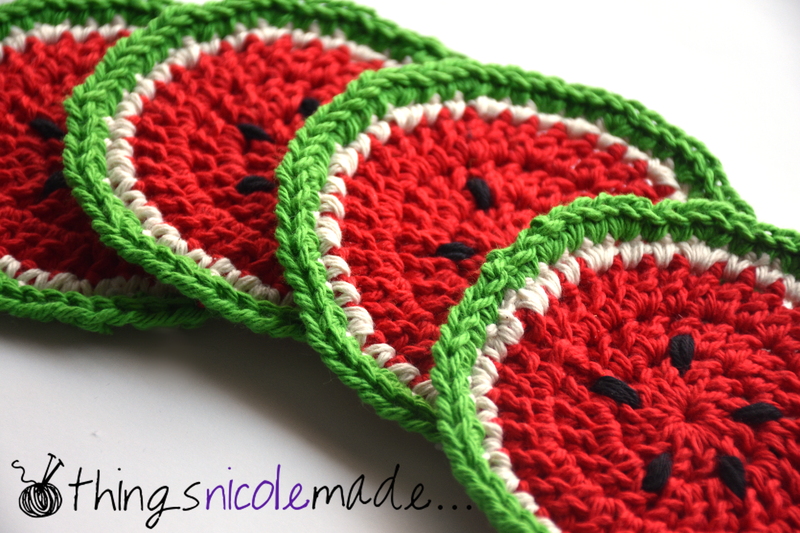 It amazes me that I can have been crocheting for so many years but still be learning new things!